Images: Laurens Morel . Flashback: In 2011 Vittorio Bissaro was third at the F18 Balaton Worlds, where Bundock-van Leeuwen were crown champs. Before the event I labeled Vittorio & Lamberto the 'Dark Horses'. In 2012 Silvia Sicouri went to an AC45 event in Italy to cheer for Bundock, who was racing with Oracle team. She was his Nr 1 fan at that event. 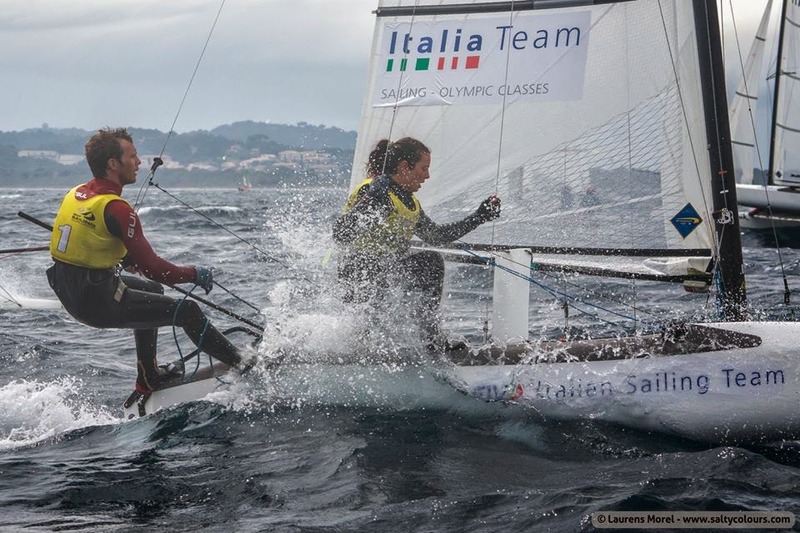 To follow their Olympic dream Vito & Silvia started racing together, and this season they went matching their skills against Bundock in the Nacra 17 Olympic Class. At Palma they were 2nd behind Besson-Riou and in front of Bundcok-Curtis. 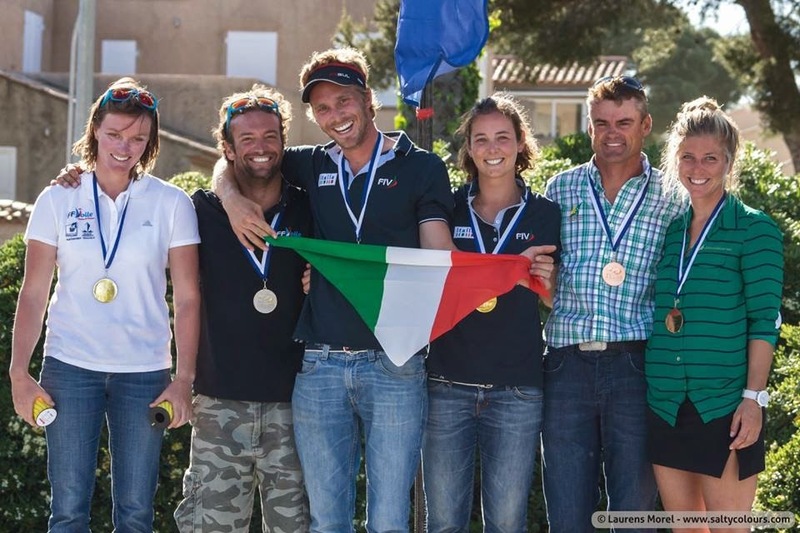 But Bissaro & Sicouri decided to go for it , and a second in the the MR gave themselves a chance to win the event, ending the decisive race ahead the other contenders for the title, Besson & Marie Riou. Bundy had it served, but 'blew it' as he wrote himself, not before of course the Italians put pedal to the metal to end the championship with 72pts , tied with the Frenchs. In the end the Medal Race places defined the Crown favoring ITA200. Vittorio & Silvia are now looking the World from above, putting themselves in a position of more pressure & responsibility to inspire other young sailors, that will root for them and follow their path.